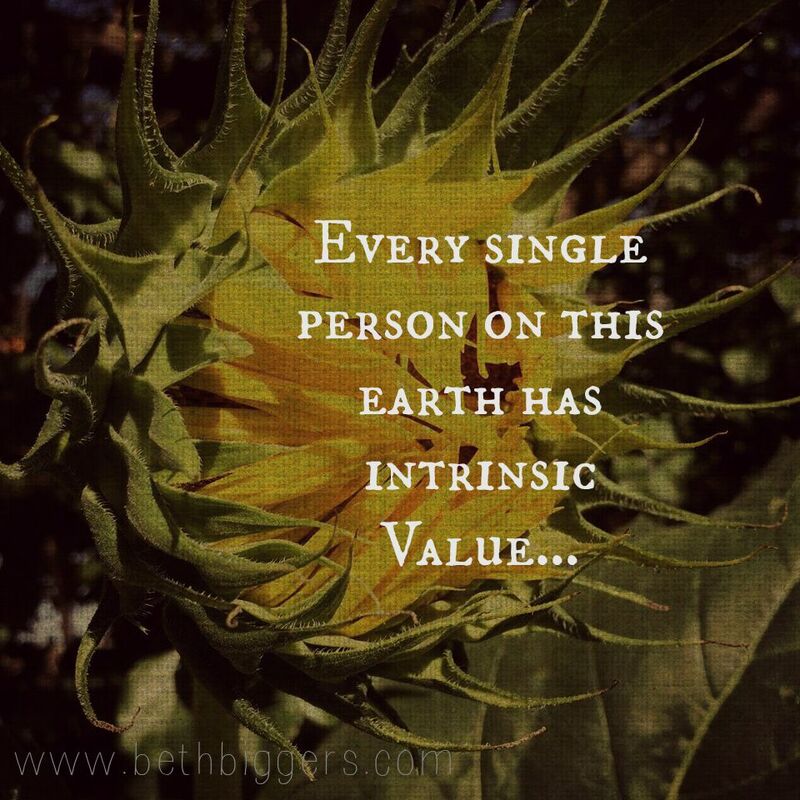 Fridays With Beth Biggers – Let’s talk about value for a minute. That means that regardless of where they are from, who their parents are, how much money is in their bank account, what they have done or what has been done to them, or what they look like, every single person has worth. Every single person. The people in your family. The people across the street. The people running for office. The people on your newsfeed who make you scoff and roll your eyes. What are the implications of intrinsic value? In other words, as a child of God, how should I treat others who I know have been made in the image of the God I claim to serve even if their lifestyle choices or poor decisions chap my khakis and don’t jive with my theology? Even if they inconvenience me? This is just food for thought guys, but what would it be like if we really asked the Holy Spirit to give us His eyes? What about our speech and actions would change if we truly saw the handprints of God on every single person we encounter in our days? What if our perspective shifted into one where we live like God is on the move in the world and is actively at work in the lives around us already? Would we be a little kinder? Would we move a little slower through our days? Would we pay closer attention to the things and people who try to distract us from what we deem important? And guys, what if we believed, really believed, that we have that same value? That regardless of what we do or don’t do, regardless of failures or successes, we are chosen, holy, and beloved? Made in the image of the Star Breather?? Maybe we could laugh more and stress less. Maybe hurt feelings would be a thing of the past. Maybe we could live in the freedom to be wrong sometimes. Maybe all the things that make our shoulders climb up to our ears and keep us up at night would look smaller and less frightening in the light of an always and forever acceptance. See, we are living in an incredible time. Incredible! We are sandwiched, by the grace of God, between an inaccessible Old Testament temple system and a still-to-come future Kingdom system. We are living under the blood of Jesus and the cross and it is crying out, beckoning every person with a soul and a spirit and ears to hear “Come! To him who is thirsty, come! Drink from the water of Life, be healed and never thirst again!” If we really believe the Bible and the gospel, if we really do, then we need to look around us and wake up! Church, stop lamenting the end times! Stop cowering in fear of growing darkness! Recognize where your feet are planted is right smack dab in the will of God! He has us, His church, on this earth at this time for a high and holy purpose: to live in freedom and to proclaim freedom! Are there scary things happening around the world and in our own backyards? Yes! Heartbreaking and horrible things! Absolutely. But don’t think for one second that your cries into the ether on Facebook are somehow louder than the cries of the oppressed in the ears of the Lord. They aren’t. Every single person around us has intrinsic value. Every single person around us is eternal in nature. Every single person around us longs for freedom and grace and life to define their story. We know the secret to eternal life! Can we share it? Even with those we don’t particularly like and who make us uncomfortable? Can we be those image bearers of value? Can we slip out of our flesh and insecurities and fears and put on the confidence of Christ in us, the hope of glory? I think we can. And I think we are. And that is SO exciting to me! But first, we have to be utterly convinced of who we are and why. Will you join me today in just asking the Lord? Whatever your spiritual position is as you read this, I would challenge you to just ask the Lord what He sees when He looks at you. I can pretty much guarantee that He will respond and you will be blown away! 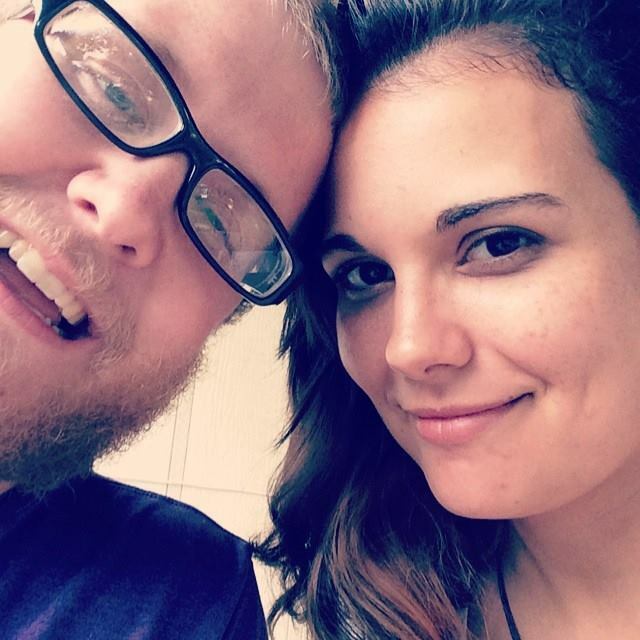 Beth will be writing with us on Fridays about Faith. She would like to connect with you! Beautifully said, Beth. I know that just getting a glimmer of this truth has transformed my own life. Less stress, more laughter…yes, indeed! We do know the end of the story, and it’s marvelous, yes? Makes me want to be kinder and more open with those He puts in my path. Lovely post!